Vishwa Bharati Public School celebrated its Foundation Day on 4th April’12 with pious resolutions, zest and zeal. To lend an auspicious start to the new academic session, a hawan was performed invoking the blessings of Almighty. 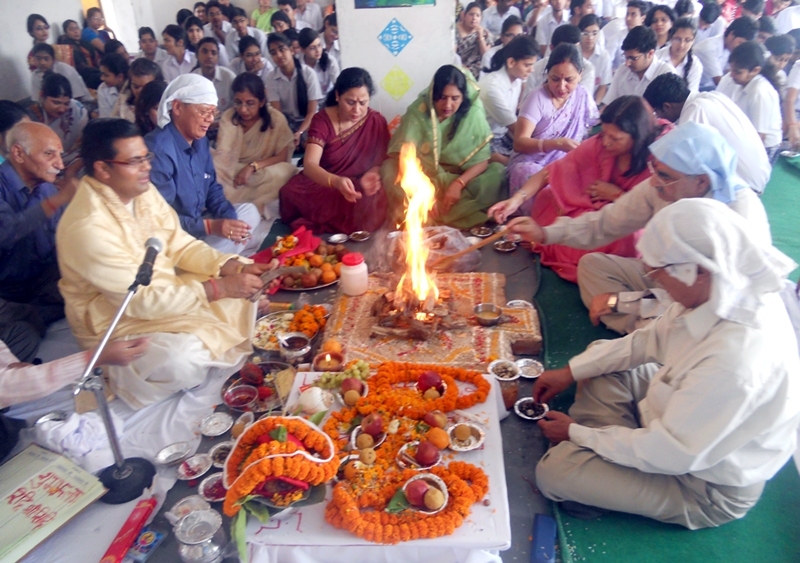 Class XII participated whole heartedly in the hawan. The chanting of mantras created a soulful ambience. Esteemed members of management Shri A.K. Bhat, General Secretary and Shri M.L. Nakhasi graced the occasion. Staff and School Principal Mrs. Aprajita Yadav sought blessings from Maa Saraswati, goddess of learning. Everyone prayed for the bright future and academic growth of the school and renewed their pledge to uphold the ideals and aspirations with which the school was set up. Prasad and sweets were distributed to mark the end of the occasion.